My friend gave me a big bag of dried sweet corn the other day. 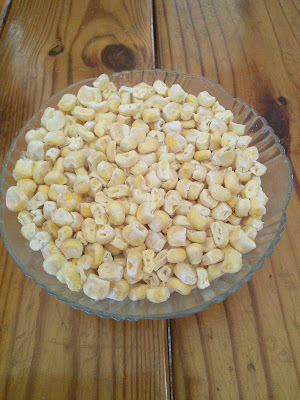 Dried sweet corn is awesome for snacking but since she gave 4 pounds of dried corn, I needed to use it in cooking too. I came across a recipe in a magazine for a corn risotto that used fresh corn so I decided to try dried corn in the recipe. 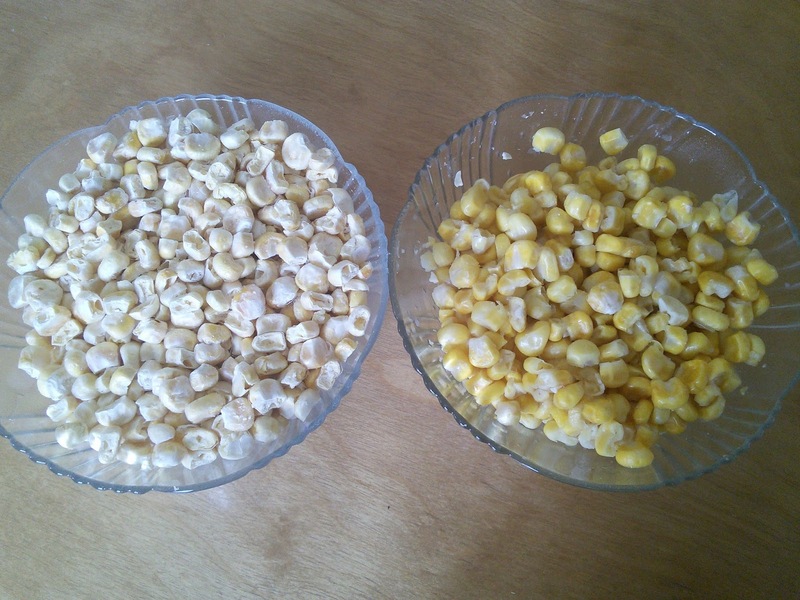 I am pleased to report that the dried corn worked great as a substitute for fresh corn. 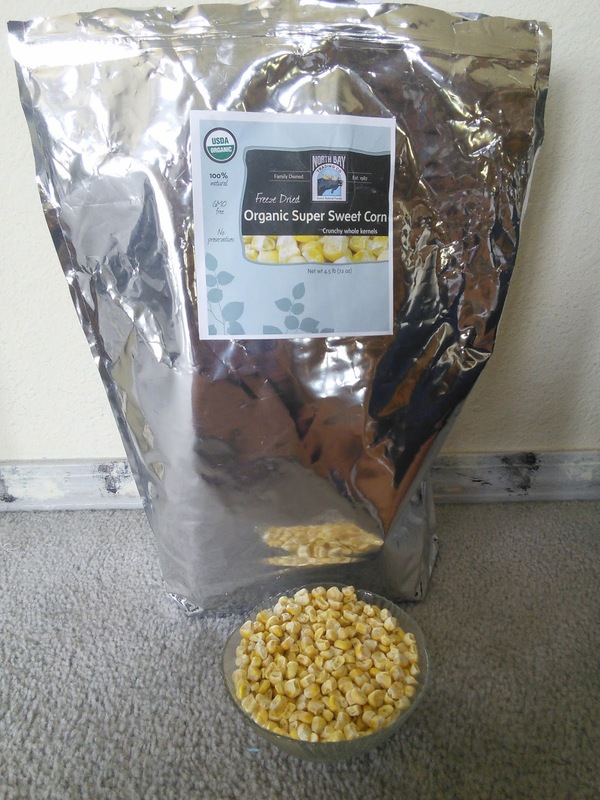 Here is the big bag of dried sweet corn. This is what the sweet dried corn looks like. I decided to add water to some of the dried corn and here is how it looks before and after. Chop the onion into small pieces and saute in the olive oil until lightly brown, set aside. Bring the broth to a boil over medium heat. Once the broth boils add the onion, garlic, lemon juice, thyme, and rice. Cook this for 20 minutes, stirring often, until the rice absorbs the liquid. Remove the pan from the heat and add the corn, parmesan cheese and butter, stir until combined. Serve right away for best taste and sprinkle the servings with chives or dill. 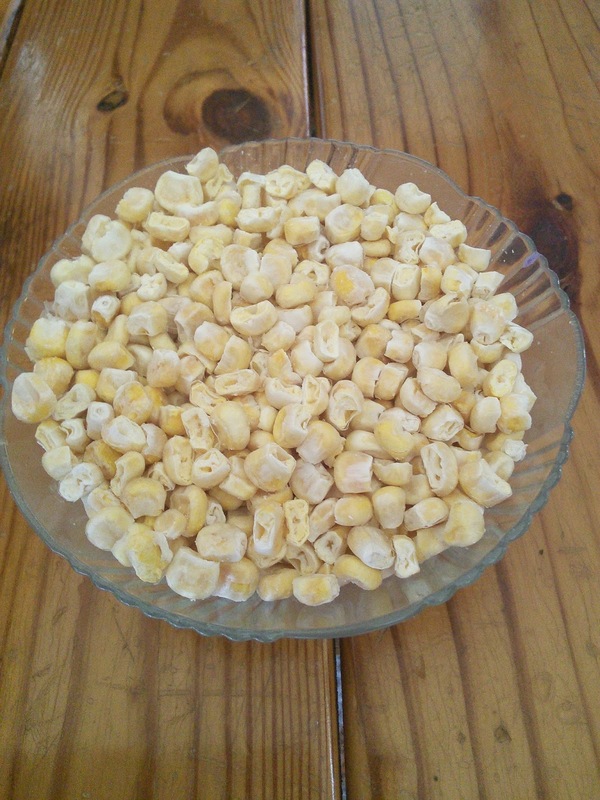 What would you make with the sweet dried corn? I need some recipe inspiration. I was just looking for a recipe for some corn we have and this looks great! :) Thanks Tara! Oh, I bet that is scrumptious! I never thought I would be interested in snacking on dried veggies but they are actually delicious! 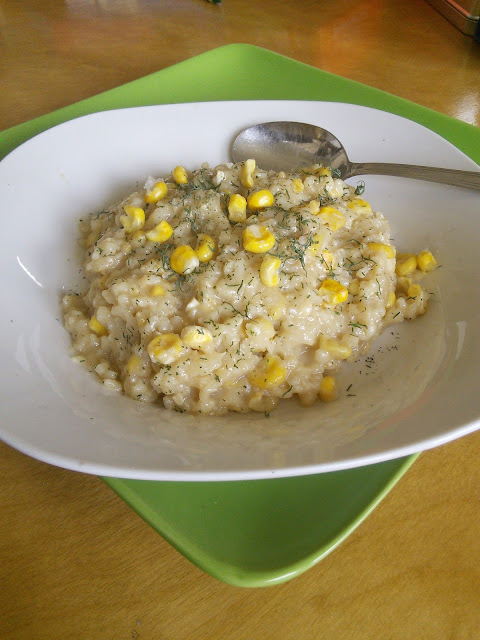 I love risotto and i love corn, prefect combination. I'lll have to try this recipe out. Thanks for sharing!